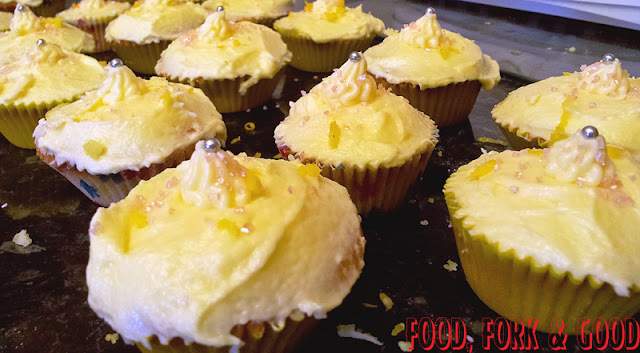 Lemon Fluff Fairy cakes & Wonky Croissants - Fork and Good. What a pain in the arse they were to make. I started at 11, and they came out of the oven at 4, all finished and warm. I would post the recipe, but seriously, just go to a shop and buy a pack of four. First you make the dough, which is hard enough as it is. Then you leave that to double in size for about an hour. 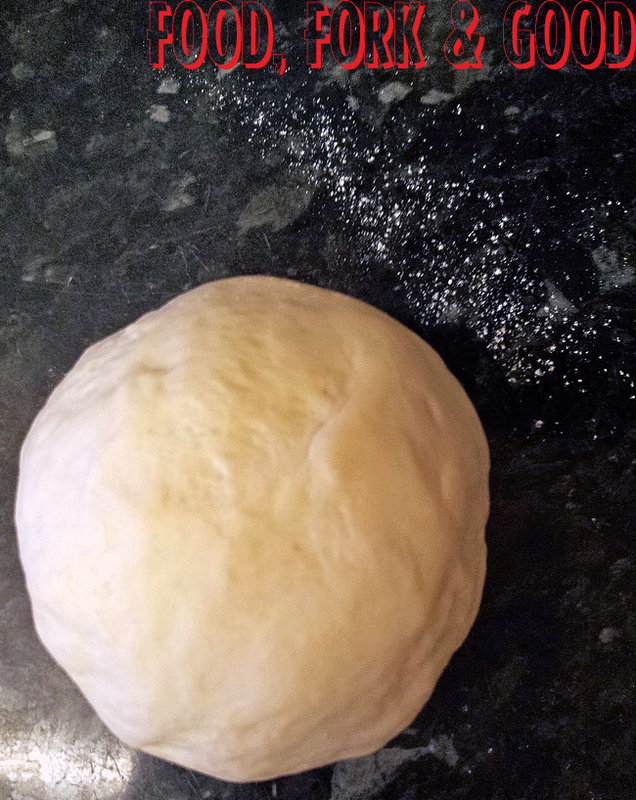 Then you knead it, do some very complicated butter lining process and put in the fridge for 30 minutes. 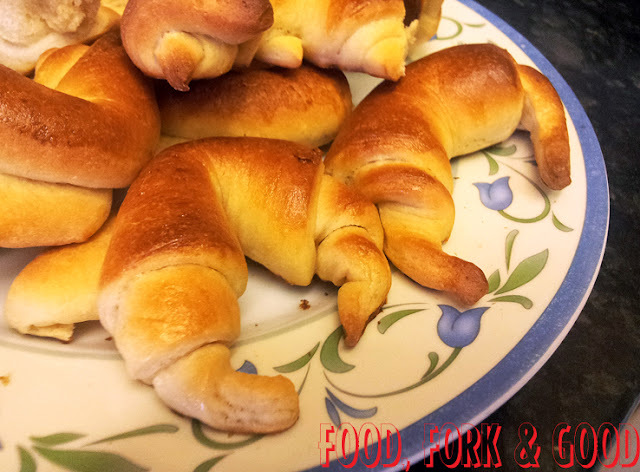 Then you do weird folding & rolling process again without butter and put back in fridge for an hour. Then you roll out dough, make into triangles and shape them. They made it look easy on TV. It's not easy at all. After 12 very wonky looking shapes that looked like rolled up carpets bent in half I got a few in decent shapes. THEN YOU LEAVE THEM TO RISE AGAIN! When I heard that I felt like throwing the blooming things in the bin. I'm a half-way to patient person, I don't mind bread making, in fact I love it. But 4 separate waiting times? This dough is verging on the side of diva. When they were done rising AGAIN, they were coated with egg & popped in the oven for 20 minutes. They came out lovely, not as flaky as I would have liked because most of the butter ended up on me instead of in beautiful layers between the dough. Anyway, with a dollop of jam, straight out of the oven, they were very nice. Nothing like if I'd of got them from a Pâtisserie bt you got to try everything once right? 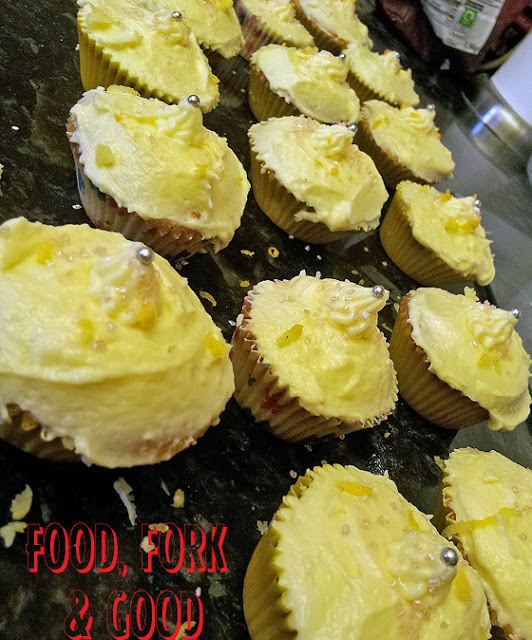 The cupcakes were a simple recipe, very easy squeezy, very much like the fairy cakes from Thursday. I made them for our nan's because they were a little sad. Nothing makes someone smile like a freshly cooked cake with pretty icing. In a bowl, cream the butter & sugar together until pale & creamy. Whisk in the eggs until everything is combined. Grate lemon rind into the mix and add the juice from the lemon, add the vanilla extract & the honey. Whisk until it's combined. Gradually sieve the flour into the bowl and fold into the mix. Now spoon about a tablespoon of mixture into the cases and pop in the oven for 15-20 minutes. When the cakes come out the oven, leave to cool for about 10 minutes on a wire rack. Melt the butter in the microwave until only a few lumps remain. Add the juice of the lemon & then the honey. Whisk until airy & light. Gradually add the icing sugar, keep whisking to keep it light. 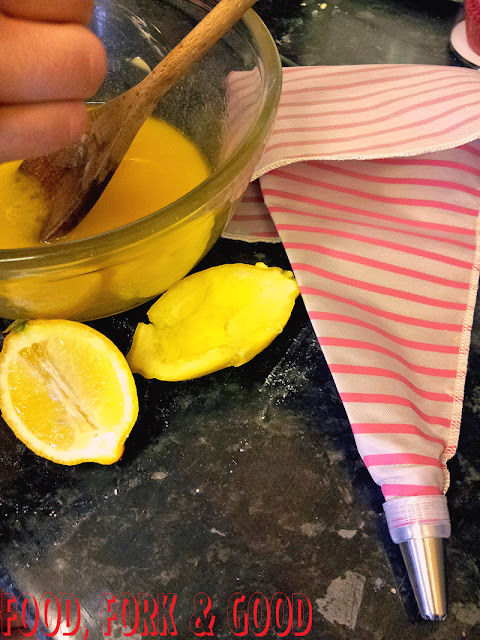 Grate the rind of a lemon over the top and leave to set. (The icing will harden) I sprinkled a little bit of edible glitter on too. Then eat & stuff! Love this truly. More to come? Do you have to whisk the icing even after adding the icing sugar? All's fairy in love & cake.